Delicious pork comes from happy hogs. Anderson Farms is a small farm in Madison County, Georgia, just outside of Athens. 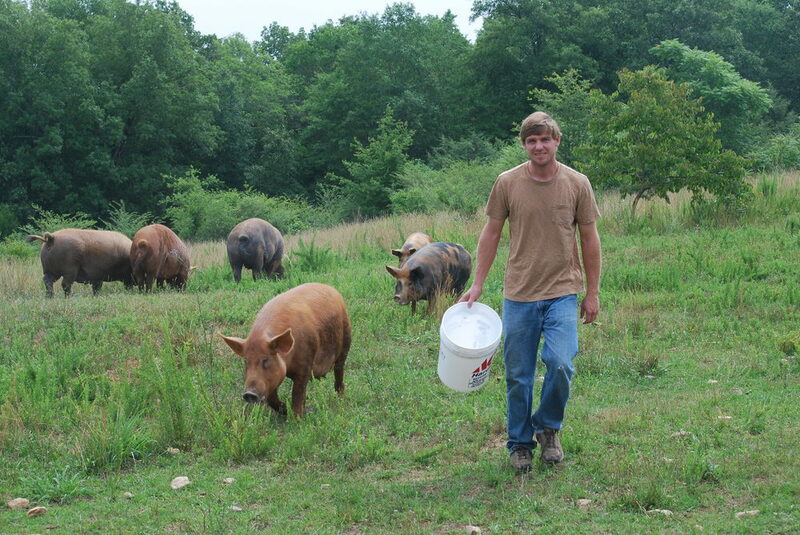 The farm is focused on producing pastured pork using a variety of breeds. All pigs are antibiotic-free and raised on forages and locally grown feed as available. Hogs are given ample space to grub in both woods and pasture. Explore more about our farm, our pigs, our mission, methods and madness. Want to sample the goods? Find a restaurant near you or learn more about our partner's CSA.